Get a sneak peek at Animals and You #211 – on sale Wednesday! 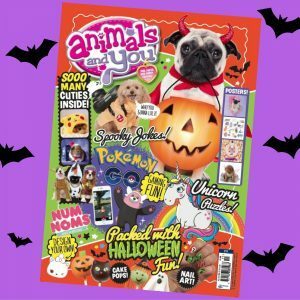 It’s packed with Halloween fun, animal cuties and stuff to win, make and do! Next story New Issue Alert! Get top stories straight to your inbox.